HJ: Holding on to past grievances, traumas and disagreements is energetically keeping you locked into a negative vibration. Emotions that are not released become trapped in the nervous and energetic systems of the body and overtime can cause psychological and physical imbalances and disease. Held for decades they can cause cancer, heart disease, stroke, etc. The body-mind-spirit triad is designed to feel an emotion and let it pass through the system without resistance. Like a cloud passing through the sky. If you have not been doing that, NOW is the time to start. The venerably wise Sangeeta Bhagwat leads us through an incredibly powerful healing process in the article below. Do you find yourself struggling in a close relationship? Many of us do. Despite a long history of spiritual or healing practice, it is not uncommon to yet feel stuck in at least one challenging relationship. Whether this be with a family member, friend or anyone else, it may seem like this is the one place where there can be no peaceful resolution. The temptation here is to treat this as the singular exception where we are not responsible in any manner. But without taking responsibility, we cannot bring in change. Hence, we end up feeling stuck and helpless, blaming the other. We make our lack of influence here an ‘unassailable fact’ instead of recognising that it is our perception of the situation that makes it what it is. This ‘spiritual failure’ then lingers in the background. It occasionally erupts with a surprising intensity that can leave us feeling all the inner work has been useless and we may as well give up. Well, we need not give up. Drawing on our deep love of ‘A Course In Miracles (ACIM)’, Byron Katie’s ‘The Work’ and John Newton’s and Gary Renard’s Forgiveness teachings, my friend GD and I spontaneously developed a systematic way to find peace in such situations. I found it to be effective and am hence sharing the basic steps of this process with you. Before proceeding, it is critical to be committed to healing this situation. Even if painful, old patterns provide the comfort of familiarity and benefits of being a victim, moving ahead is possible only when we see this supposed Achilles heel as an opportunity for significant growth and evolution. Mistakenly believing that Forgiveness implies condoning and/or inviting more of the same. 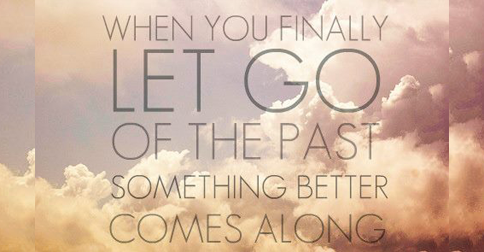 Letting go of this would disrupt one’s world views or foundational approach to things. Pinpoint your own list of resistances and use any healing tools that you are already familiar with to clear them. Our perception is a projection coming from our own mind. Hence, by examining our thinking, we can control and change what we perceive. Forgiveness is changing our mind in a way that corrects the errors in our perception. Forgiveness is thus the means to freeing us from all illusion, including that of separation. Every stressful situation has a singular purpose and that is to offer us an opportunity to forgive and move ahead. With this in mind, we drop all habits or intent of ‘fixing’ (the situation, the other or our self), all investment in particular outcomes and focus single-mindedly on forgiveness. We have to forgive not only the other person, but also our self. If we find ourselves reacting strongly to some quality, it will be found within us. For what we object to in others is what we reject within ourselves. Projection is used to displace our guilt onto another, thereby avoiding acknowledging and forgiving it within our self. 1. Choose a person that repeatedly annoys your body-mind system. Select a person who frequently evokes a strong emotional reaction in you. Don’t look for the one with whom there are one-off disturbances, but the one with whom conflicts show up repeatedly. 2. Find The Disturbing Quality/Behaviour/Trait Displayed By The Person. Contrary to habit and temptation, the details of the unpleasant event are not important. Our aim is to identify the quality or trait that triggers all the trouble. Byron Katie’s ‘The Work’ looks to find ways we are arguing with reality, whereas here, our aim is to find the quality that we need to forgive this person for. This is not as difficult as it sounds. It is helpful to pick just one of the most annoying interactions that you have had with the chosen person. Notice which was the trait that they were demonstrating then that triggered a maximal reaction in you. Examples include “unreliable”, “ungrateful”, “irresponsible”, “careless with money”, “insistent”, “stubborn” and so forth. It is important to find the one quality that provoked maximal emotional charge. Don’t compromise or stop your inquiry until you find the right one. Try out similar or related trait descriptions. You will know you have found it by the ‘buzz’, a strong reaction or sensation in the body-mind. Select the word that feels most loaded. Treat the trait or situation as symbolic: Say it is ‘speaking loudly’ on the phone in public spaces that annoys you. While you never do that yourself, see if you ‘loudly’ force your opinions deliberately or unintentionally on another’s space. It may be in a different area of your life: If the complaint is “promises but never delivers” on work commitments, you may not be delivering on personal promises, implied or stated. The form may differ: You may not recall being physically violent with someone, but there may have been many occasions when you were verbally abusive, sharp, deliberately hurtful and so forth. The frequency/intensity may differ: You may not be the compulsive liar, but are dishonest or evasive on occasion. This was true of you in the past: Standing up for yourself may come more easily to you now. But if you struggled with it in the past, seeing someone being a pushover or doormat may still trigger frustration in you. It may present internally but not be displayed externally: A common example is our self imposed requirement of ‘positive thinking’. It is human to have negative emotions or a ‘down day’. But as we try to convince others and ourselves of our positive thinking, we may pose a smiling, cheery appearance at all times. In such cases, seeing someone ‘faking happiness’ can evoke strong reactions in us. You may want to, but do not give yourself permission to do the same:Using the same example of self imposed positive thinking, seeing someone dramatising their upset may also trigger you. You may have a list of valid reasons to justify your reaction: Rationalising our stubborn reaction can be an unconscious way to keep the trait in place and disown it at the same time. For if one has reasons for blame firmly in place, self examination (and forgiveness) can be avoided. If done thoroughly, by the time you complete this part of the exercise, therevelation of what was lying unattended within you will in itself give noticeable relief. This journey of self discovery may now tempt you to judge yourself for having missed all this thus far. Or you may now begin to feel guilt for all the blame and anger you had directed towards the other. Or you may come in touch with the self directed guilt, blame or shame that was hidden all this time. Do not build any further stories around these observations, nor consider them as definitive or permanent. Once the seeing is clear, correction towards more loving and harmonious behaviour is easily possible. Their remaining hidden was what was the problem. A. (God), Help me to forgive myself for having being blind to all this in the past; For projecting it outwards and not seeing it was something I needed to forgive within myself. The process may seem a little daunting at first glance, but give it a good shot. It gets smooth, quick and easy after a couple of attempts. You may have to repeat it a few times (with the same person) if it feels incomplete. When it is complete, there is a sense of wonder, revelation and unmistakable lightness. It becomes clear that nothing really happened – other than a series of judgements and projections that were construed to make a certain story line. When the judgement dissolves, so does that particular story line. From a space of calm awareness, we are now free to take inspired action with clarity and ease.The ‘other’ can now be relieved of the villainous role that they so kindly played for us. This does not mean the person necessarily disappears from our life or that we disengage. But if they stay, the interaction surely transforms into something lighter and truer. At the end of it, we often dissolve into laughter, having discovered that what was needed was not a pardoning of any ‘other’, but a clearer seeing, understanding and acceptance of our self.